Muscat: Five old settlements and cemeteries dating back to the Umm Al Nar era, between 2500 and 2000BC, were unearthed in Saham province in North Al Batinah. The sites are in Dahwi, Wadi Al Sukhn, and Al Thaqibah, about 26 kilometres to the west of Saham on the northern plains of Al Hajr Al Gharbi mountains. These spots are the oldest archeological sites unearthed in the northern part of Oman. The project to archeologically explore the area began in 2010. 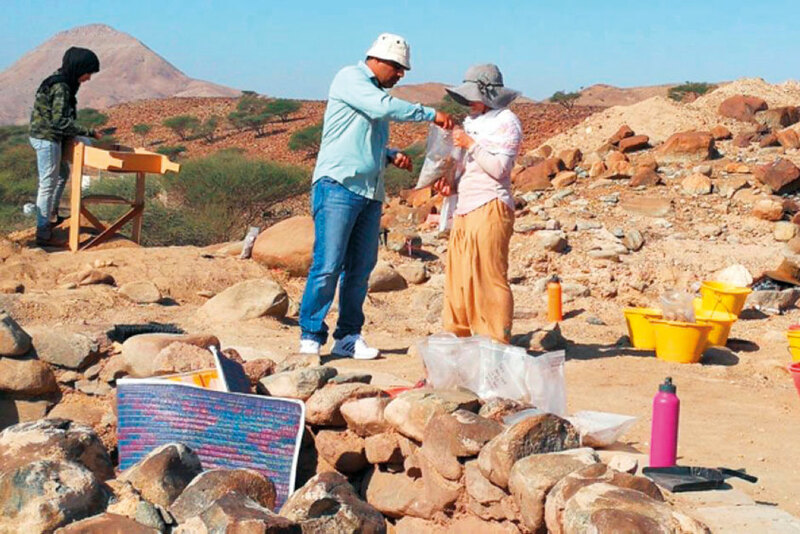 Dr Khalid Daghlas, Head of Archeology Department at Sultan Qaboos University, said the survey and exploration works unearthed a number of pottery and stone works that point to these sites having a close connection with Indus, Mesopotamia and Iran. This is also evidence pointing to copper smelting and trading undertaken by the areas’ citizens. Daghlas added the archeological exploration works unearthed a number of cemeteries that date back to the Umm Al Nar era. They used to bury the dead in group cemeteries built of white sandstone and place clay and stone utensils in these spots. Unique pottery belonging to Umm Al Nar culture were also found in the Dahwi site. The archeological survey and exploration team, from SQU, alongside post graduate students continue to explore the sites.